We have previously noted the tenure battle of Nadia Abu El-Haj, who was granted tenure by Barnard last November after a contentious public dispute. Another Columbia professor—and Chicago author—Joseph A. Massad, has been in the grips of a similar tenure controversy for more than a year. 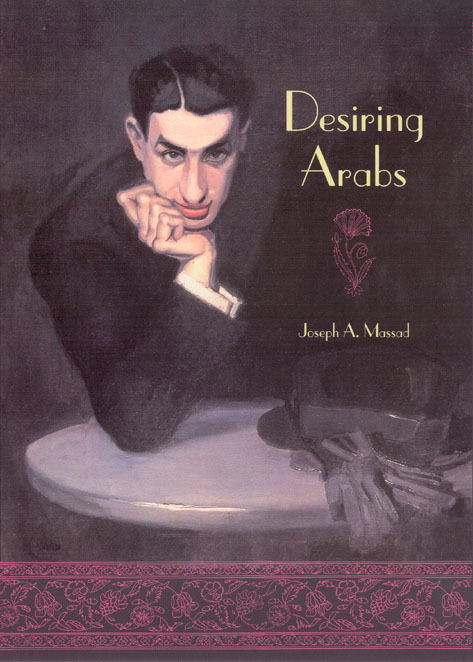 Massad is an associate professor of Arab politics in Columbia’s department of Middle East and Asian languages and culture and the author most recently of Desiring Arabs, a study of the representation of sexuality in the Arab world. Departments of Middle Eastern studies are flash points of controversy at a number of universities and nowhere have the flashes ignited more careers than at Columbia, where off-campus and alumni groups have joined in the discussion. The Chronicle of Higher Education has an article about Massad’s case that gives more details about the controversy as well as contextualizes the conflict in terms of a larger debate “over what constitutes academic freedom” and “whether outside groups should have influence in academic decisions.” . . .
As thousands of G.I.’s fought their way through fierce German resistance along the coast of Normandy on D-Day, they carried in their packs an illustrated pamphlet that told them what they’d find—and what would be expected of them—once they had secured their beachholds and begun the liberation of France. 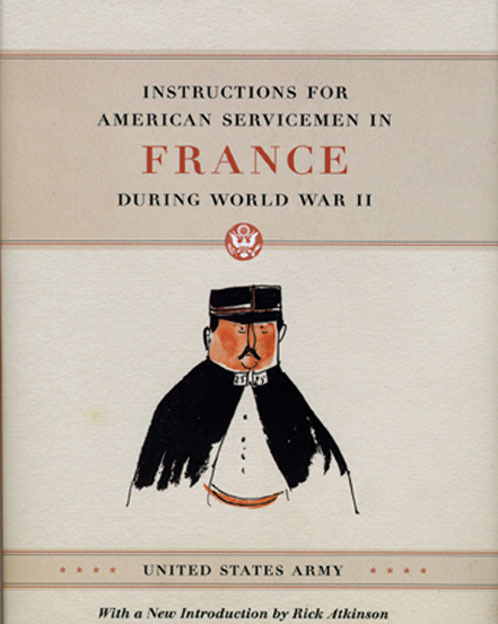 Created by the U.S. War Department under conditions of the highest secrecy—then lying forgotten in archives for decades after the war—Instructions for American Servicemen in France during World War II, presented here in a facsimile edition, is a compact trove of information and reassurance. Written in a comfortable, conversational tone, the book is equal parts propaganda piece, cultural handbook, and travel guide. Though its central aim is to dispel any notions about French weakness—and simultaneously to highlight the nation’s historical importance as an ally—from our historical vantage it is the manual’s portrayal of French culture that is the most fascinating: “French beer is flatter and more slippery than our beer but the French like it, when they can get it;” “the neighborhood French café is the most French thing in all France;” “French hotel bills are complicated.” For soldiers reading Instructions in 1944, a long road lay ahead—but with each confident . . . 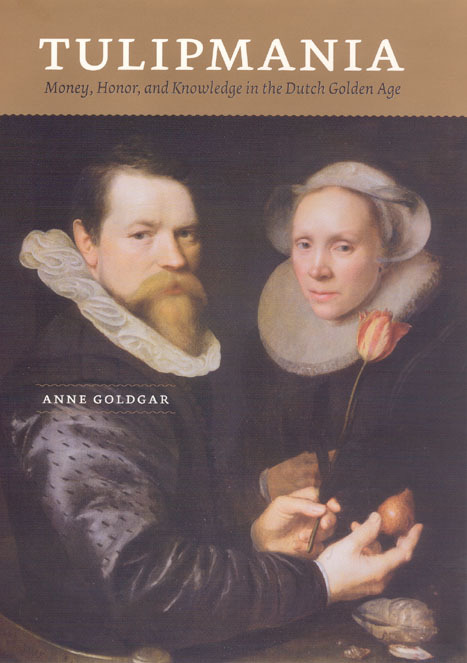 In a recent review in the May 24 National Post Ingrid D. Rowland praises Anne Goldgar’s Tulipmania: Money, Honor, and Knowledge in the Dutch Golden Age for its revealing look at the speculative trading in tulip bulbs in seventeenth century Netherlands. As popular opinion has it, the Dutch obsession with tulips led to an unprecedented crash in the Dutch financial markets as demand for the bulbs waned. But as Rowland’s review points out, Goldgar’s new book reveals that “most of what we ‘know’ about tulip mania is pure fiction.…” and, in fact, the supposed crash of the Dutch tulip industry was more a social phenomenon than an economic one. Rowland writes: Dutch tulip prices would have had to find their equilibrium: The heights they reached in 1636 were an experimental extreme. But two outside factors, as Goldgar shows convincingly, made the market’s abrupt shifts in February, 1637, look like a cataclysm. The first was an outbreak of bubonic plague that erupted in 1636, bringing on its usual train of death and panic, but also an unusual number of wills whose provisions involved tulip bulbs and tulip transactions. The second was that the crash came in Carnival season, with its ritual . 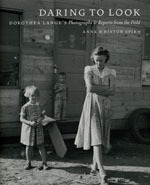 . .
Sunday’s Los Angeles Times ran a review of Anne Whiston Spirn’s Daring to Look: Dorothea Lange’s Photographs and Reports from the Field. The Times online edition also includes a lovely portfolio of twenty Lange photographs from the book. Times reviewer Louis P. Masur explains what is different about Spirn’s look at the Farm Security Administration work of Dorothea Lange: Daring to Look is a hybrid work, part personal essay, part portfolio of photographs, part scholarly catalog of captions and negatives.… Spirn argues strenuously that Lange must be appreciated not solely for her portraits but for her landscapes as well, and that any consideration of Lange must take into account not only images but also words—the general notes and specific captions that the photographer wrote. Spirn is right to refocus our attention on the landscape. Lange herself said she was trying in her work to tell the story “of a people in their relation to their institutions, to their fellowmen, and to the land.” That landscape—of farms and signs, cut-overs and crossroads, buildings and shacks—traverses these photographs whether people are present or not. There are also the internal scenes of parlors and kitchens and stored goods. Many of Lange’s photographs include . . . Reflecting on an appropriate topic for Memorial Day, journalist, historian, and best selling author Rick Atkinson was interviewed on NPR’s Weekend Edition last Saturday to discuss the forthcoming re-publication of the U.S. Army’s Instructions for American Servicemen in France during World War II—a guidebook originally issued by the War Department in 1944 to give Allied soldiers invading France “a general idea of the country concerned, to serve as a guide to behavior in relation to the civil population, and to contain a suitable, concise vocabulary.” In the interview Atkinson—who wrote the new foreword to the UCP edition—joins host Scott Simon to discuss some of the fascinating insights into the U.S. campaign in France the book has to offer. Listen to archived audio of the interview on the NPR website. 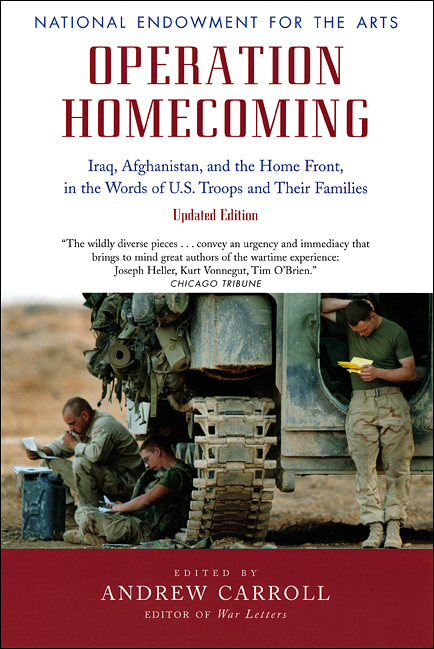 Also read Atkinson’s introduction to the book. . . .
Operation Homecoming is the result of a major initiative launched by the National Endowment for the Arts to bring distinguished writers to military bases to inspire U.S. soldiers, sailors, marines, airmen, and their families to record their wartime experiences. Encouraged by such authors as Tom Clancy, Tobias Wolff, and Marilyn Nelson, American military personnel and their loved ones wrote candidly about what they saw, heard, and felt while in Afghanistan and Iraq, as well as on the home front. These unflinching eyewitness accounts, private journals, short stories, and letters offer an intensely revealing look into extraordinary lives and are an unforgettable contribution to wartime literature. Read the press release. . . .
Kurdistan was erased from world maps after World War I, when the victorious powers carved up the Middle East, leaving the Kurds without a homeland. Today the Kurds, who live on the land that straddles the borders of Turkey, Iran, Iraq, and Syria, are by far the largest ethnic group in the world without a state. 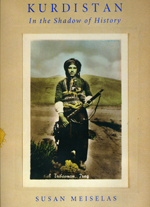 Kurdistan is a visual history of a people and a place who have otherwise been denied a national archive. Since its first publication in 1997, Meiselas’s lavish compendium of photographs and documents has become a crucial repository of memory for the Kurdish community both in exile and at home. This new edition appears at a time when the world’s attention has once again been drawn to the lands of this little-understood but historically consequential people. 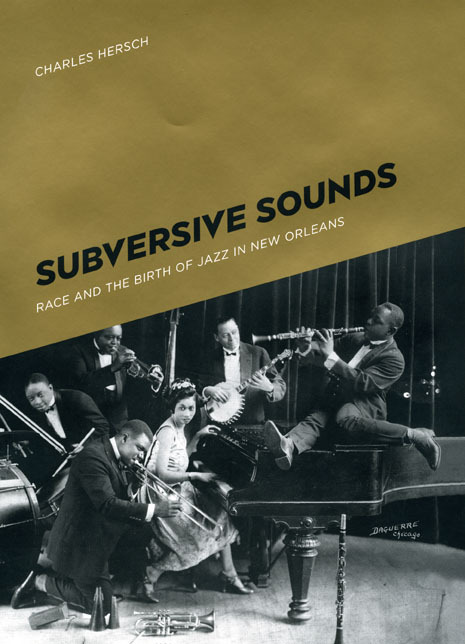 Read the press release. . . .
Charles Hirsch’s new book Subversive Sounds: Race and the Birth of Jazz in New Orleans was reviewed yesterday in the Times-Picayune. Contributing writer Jason Berry begins by drawing a parallel between the early New Orleans jazz scene Hirsch brings to life in his book, and the city as we know it today: The music we now call jazz flowered at the dawn of the last century, a time of grinding poverty and struggle for black people, as Charles Hersch writes in a provocative new history, Subversive Sounds. A political scientist by training, Hersch illuminates how musicians of color drew from realities that few white people experienced in forging a form of dance music for people of both races. In that sense, Subversive Sounds is more than timely. The social realities of New Orleans today resemble the city in 1900: racial polarization beneath a blanket of poverty and uncertain leadership. A century ago tourism was in its infancy; today’s “cultural economy” markets an urban identity shaped by African-American traditions that ran deepest in downriver wards that were wrecked in the flooding of 2005, areas where tour buses show visitors the wonder of our Pompeii on the Mississippi. Read the full review . . .
Jim Boyd, the former deputy editorial page editor at the Star Tribune in Minneapolis has written an interesting piece on W. Lance Bennett, Regina G. Lawrence, and Steven Livingston’s When the Press Fails: Political Power and the News Media from Iraq to Katrina for the Spring 2008 issue of the Nieman Report. 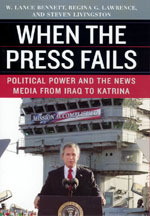 Using his own personal experiences to comment on the author’s claims that the American news media—especially during the Bush presidency—has become increasingly susceptible to White House spin Boyd writes: It is the central thesis of When the Press Fails that the press has become excessively deferential to political power in Washington and has forfeited its (occasional) role as independent watchdog of government. The rule of the press road in Washington now is to run every story through the filter of political power and, unless another strong actor (say, Congress) raises a stink, the press will dutifully report whatever the administration says, without challenge. When you add into the mix an administration that admits to no requirement that it be truthful and straight—indeed, quite the reverse—we have the embarrassing story of press failure to challenge the deceitful case for war in Iraq. But as Boyd points out, the press’s . . .